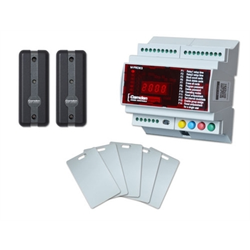 The Camden CV-602K2 is a two door proximity access control system that comprises of a small programmable controller which is installed on the secure side of the facility, as well as vandal and weather resistant, HID/AWID format mullion mount proximity readers. Individual or batch enrollment/deletion can be done through buttons on the controller or through a USB connected computer. 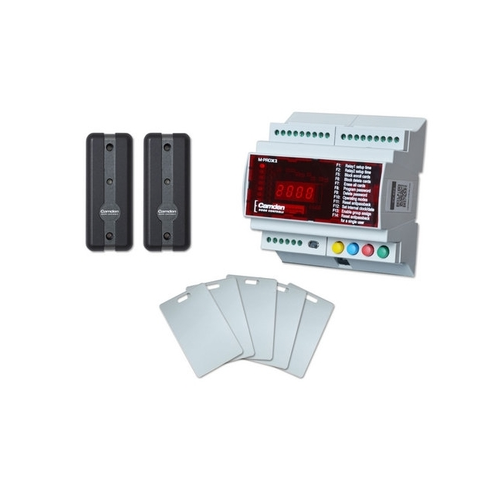 The kit comes with a M-PROX2 controller c/w, 2 mullion readers and 5 AWID format prox cards. System software is included and supports advanced scheduling as well as an event audit report of up to 3,800. Dimensions of CV-7400 Reader 3 1/8” x 1 5/8” x 1/2"